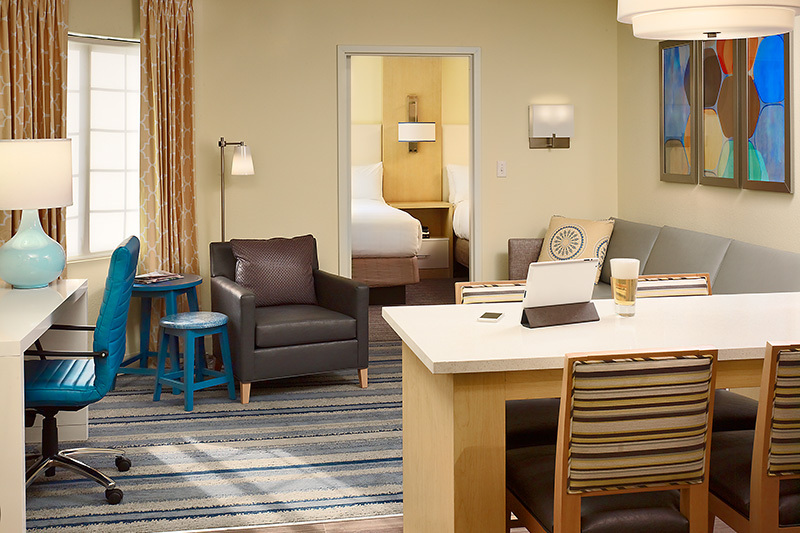 This property was the prototype for the launch of the new Sonesta Extended-Stay Suites brand. Hospitality Properties Trust rolled out 17 newly renovated Sonesta ES Suites hotels between 2014 and 2016. Becker & Frondorf was engaged to spearhead the process from conceptual design through renovation. 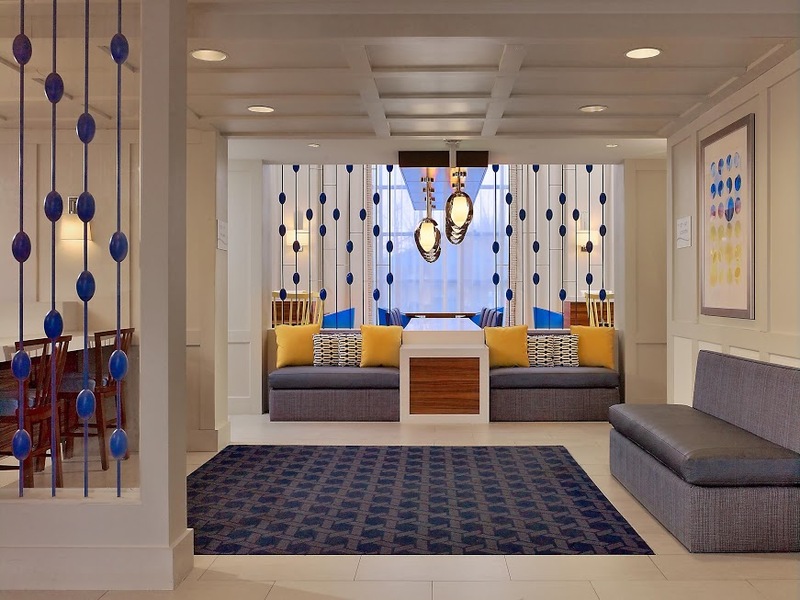 We were also engaged to manage five other Sonesta ES Suites hotels that followed the Burlington prototype. The Sonesta ES Suites Burlington guestroom renovations include all new room layouts, furnishings, complete bathroom renovations, and redesigned kitchens. 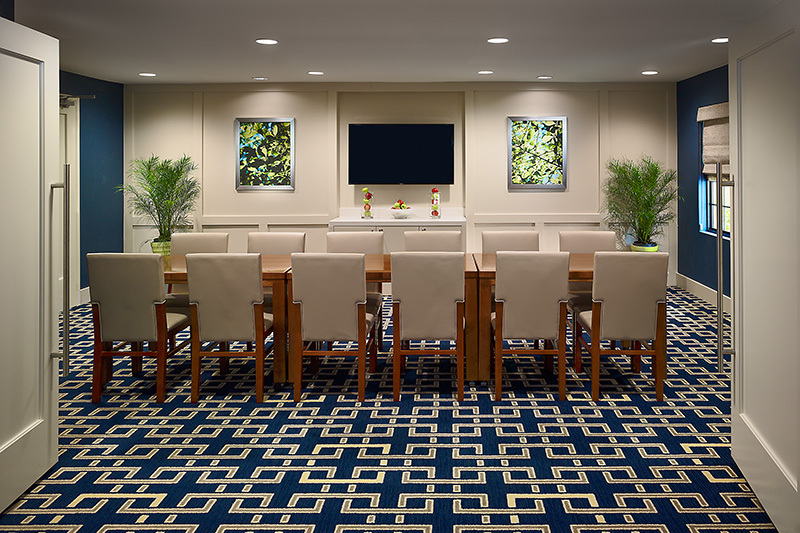 The public space renovation included a new kitchen pantry, new buffet (based on a newly developed food and beverage program), a great room, and a flex meeting room. This was all completed while the hotel remained in operation. Becker & Frondorf also assisted in areas of specific branding elements such as signage, logos and other amenities.